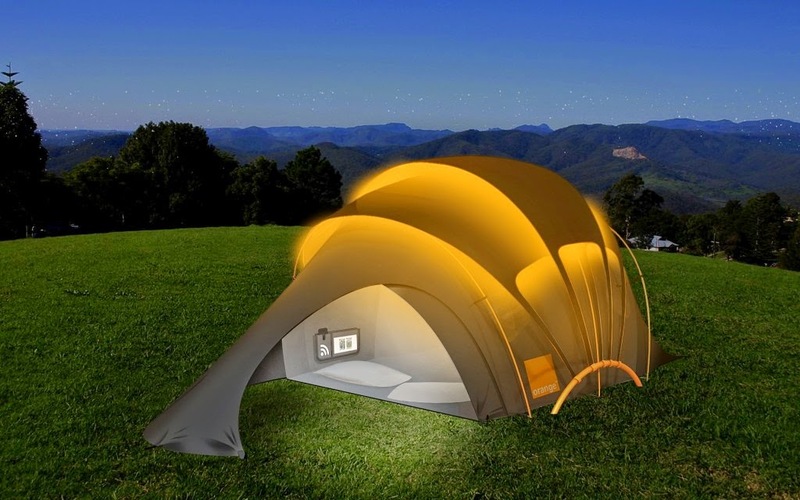 Now THIS solar powered off grid camping tent is probably the coolest tent I've ever seen. I've been an outdoorsman all my life and have owned many tents, but this concept is phenomenal. Now, this isn't designed to haul around the hiking trails, as it would be too heavy for regular hiking/camping trips. But, it could probably be utilized well at events, and longer term camping. 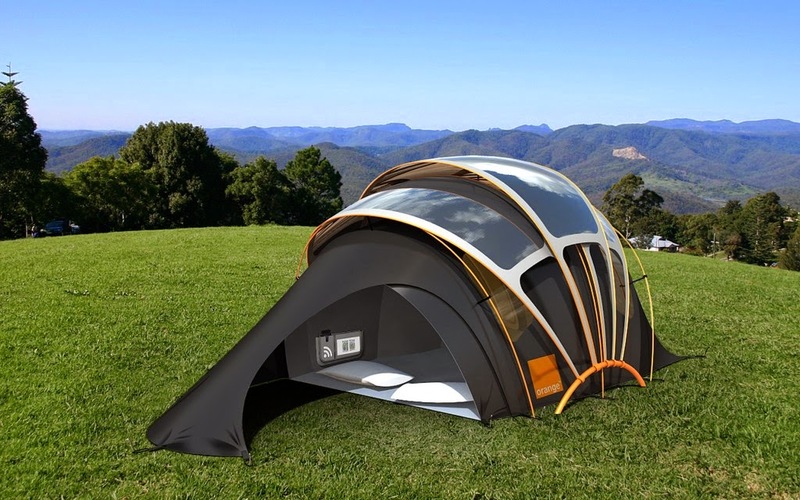 It's designed to sleep 4 people comfortably, and would supposedly power you mobile devices through the built in solar panel array on the roof. No word on how to order one, or even when it will be in production. And it GLOWS with radiant lighting. Please, I want one, where do I sign up?